Quetzal in Costa Rica with green forest in background. Magnificent Resplendent quetzal sacred green and red bird. Detail portrait of beautiful tropic animal in jungle. Beautiful bird with long tail. hd00:25Resplendent Quetzal, Savegre in Costa Rica with green forest. Magnificent sacred green and red bird. Hidden portrait of beautiful tropic animal. 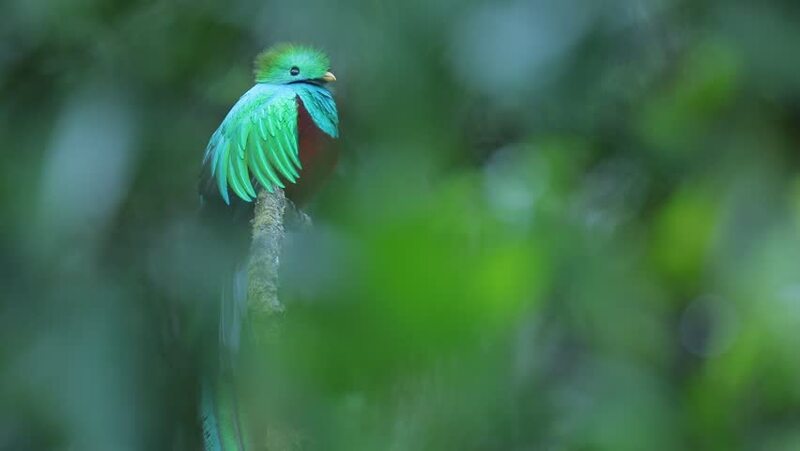 Quetzal with long tail, mountain habitat. hd00:12American Robin with a mouthful of Tent Caterpillars.